Close to St Emilion & the cities of Bordeaux & Bergerac. Whilst many winemakers are happy to show you round, and offer a little ‘degustation gratuit’ (free wine tasting) in the hopes you may then purchase, they are usually working farms, where time is short, and the owner speaks little or no English. Structured tours take the uncertainty out of a trip. 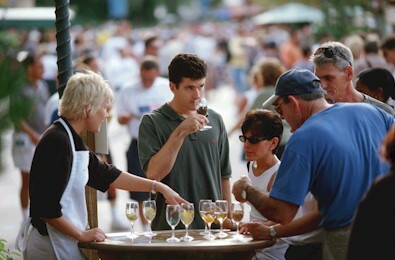 We offer superb wine tasting tours. Our organic vineyard produces award winning wines under the appellations of AOC Bordeaux/ Bordeaux Superieur and AOC Sainte-Foy Bordeaux. Come and find out more about grape growing and wine making with Nick and Helen. The visit will include an introduction to Chateau de Claribes, provide an understanding of what it is about the Bordeaux climate and “terroir” that help to make great wines, a tour of the vines, winery and a commented tasting of 4 of our wines. Wine Tasting Tours for 2 hours – Price 25 Euros per head. Airport Transfers and Car Hire Can be arranged.